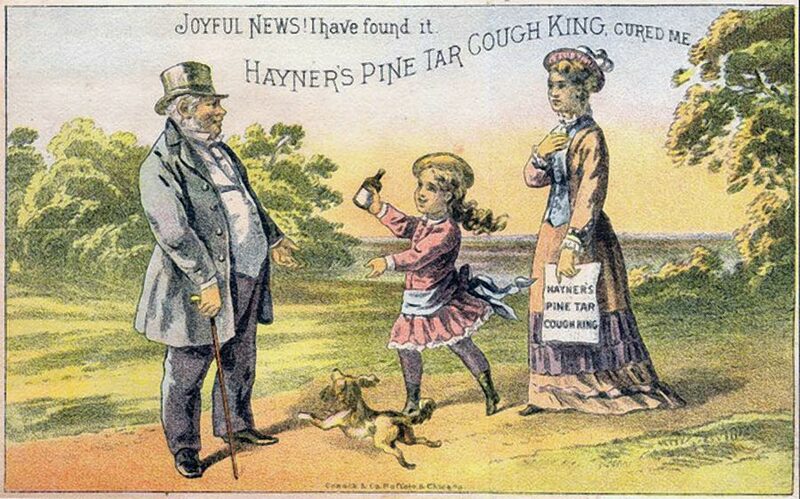 Metamorphic trade card for Hayner's Pine Tar Cough King, lithograph, circa 1880. Troy, Ohio. Image posted on eBay. 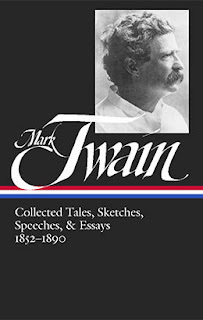 While the Civil War was raging back East, Samuel Clemens (who had recently begun using the pseudonym Mark Twain) lived in Virginia City, Nevada, where he came down with a serious cold and bronchitis that plagued him for the much of the summer in 1863. His ailments didn’t keep him from traveling, first to the home of his friend Adair Wilson near Lake Bigler (now Lake Tahoe) and then to Steamboat Springs. In a series of letters and reports to newspaper editors in Virginia City and San Francisco, Clemens detailed his adventures and the spirited (if half-hearted) attempts to attack his illness with various remedies. “Lake Bigler is a paradise to a healthy person, but there is too much sailing, and fishing, and other dissipation of a similar nature going on there to allow a man with a cold time to nurse it properly,” he admitted. “How to Cure a Cold” would be one of the few pieces from his early years that Twain would republish—and he revised and polished it a number of times, including it under the title “Curing a Cold” in his first book, The Celebrated Jumping Frog of Calaveras County (1867), and in an 1875 collection of his sketches. Notes: Earlier in the year during which he wrote this piece, Mark Twain lived in the White House, a recently completed boardinghouse in Virginia City. A fire on July 26, 1863, consumed most of his belongings. Gould and Curry was a mining company headquartered in Virginia City; the stock certificates Twain claims to have lost in the fire would have been extremely valuable. A Columbiad (page 40) is a large cannon developed for coastal defense. It is a good thing, perhaps, to write for the amusement of the public, but it is a far higher and nobler thing to write for their instruction—their profit—their actual and tangible benefit. . . . If you don't see the full selection below, click here (PDF) or click here (Google Docs) to read it—free! Glad the week-a-story is back. Mark Twain' s story is witty ad ever.